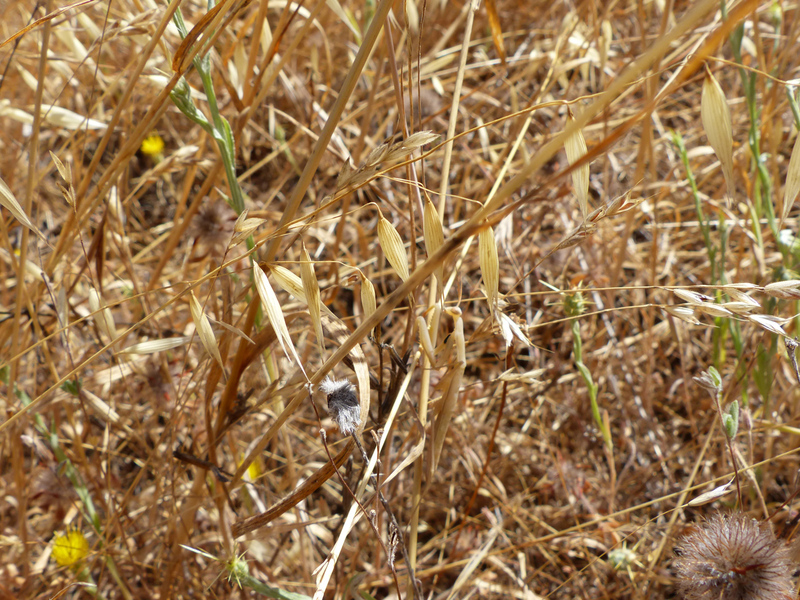 A couple days ago, I worked on yellow star thistle at Windy Hill open space preserve. This requires going off-trail into the tall grass, and I spent half an hour picking seeds out of my socks afterward. Today I tried a pair of gaiters that I have had for quite a while and possibly never worn before. They helped a lot, but I need to figure out how to properly fasten them down. Los Trancos today, where I spent four hours, prevented hundreds of thousands of seeds from entering the next-generation ecosystem, and didn’t even make a dent. Foof! Only the photos made it worthwhile. 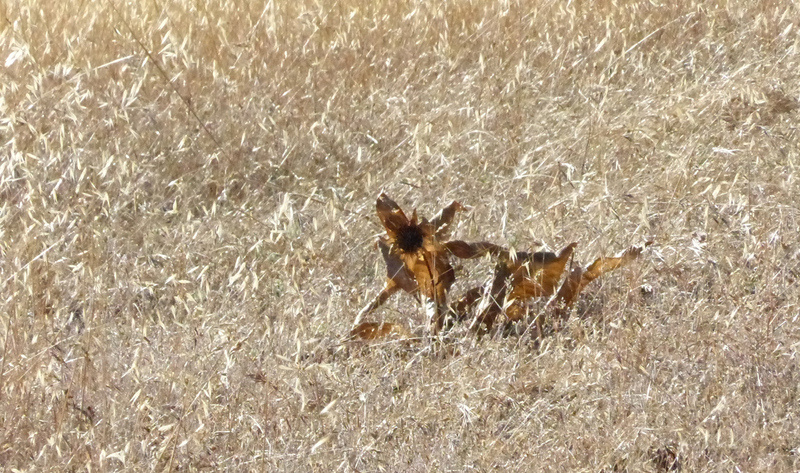 From a distance, this looked like a fox lurking in the tall grass. 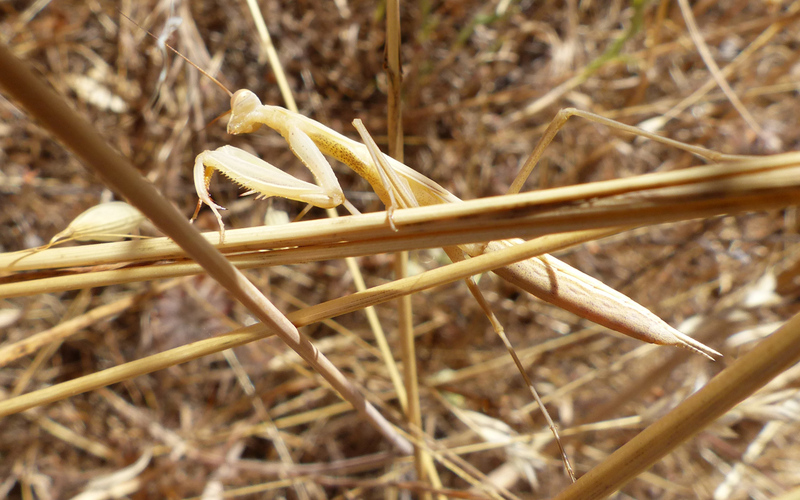 I found two manti, this one in amongst the YST (that’s what we regulars call yellow-star thistle). 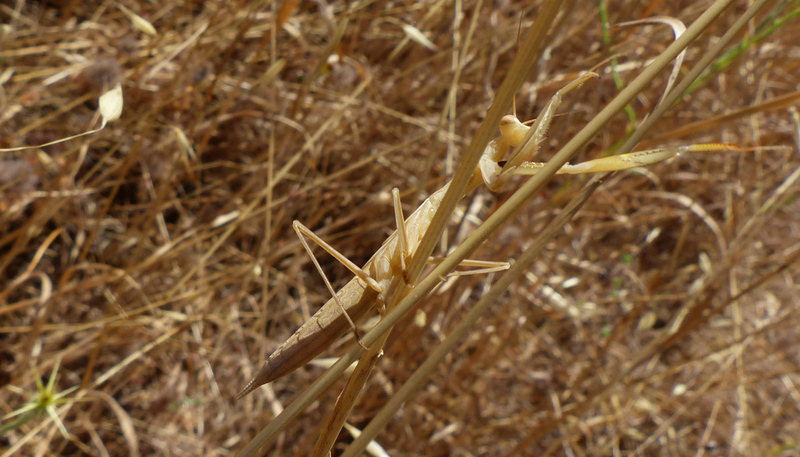 There were probably a few thousand that I didn’t see, and if this one hadn’t moved, I wouldn’t have seen it either. It wasn’t really happy about posing for photos, but I fired off fifty or eighty shots, and a few of them turned out not too bad. 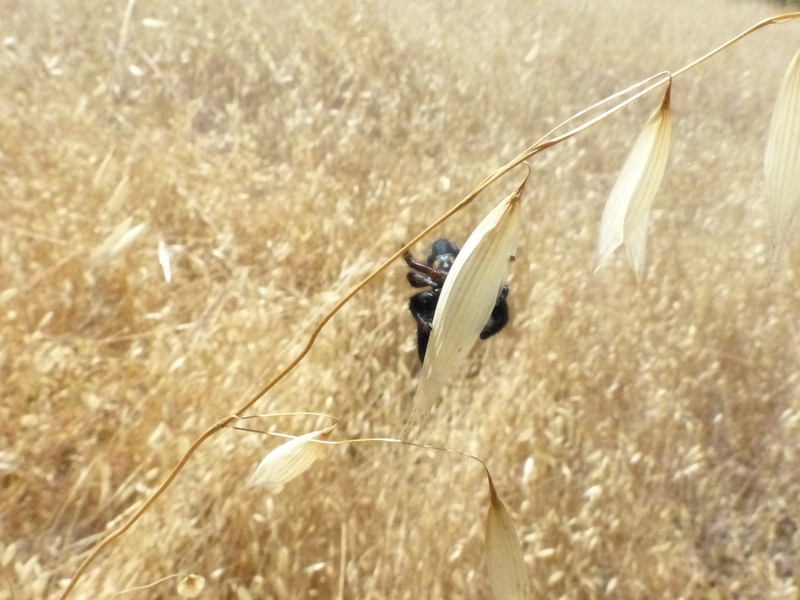 Later on, a big spider hiding behind a grass seed pod. If it can’t see me, I obviously can’t see it. 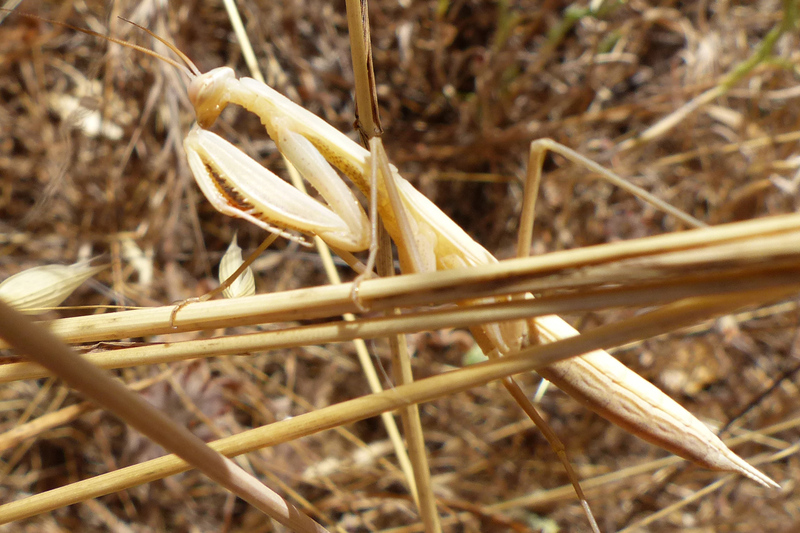 When I worked around behind it, it scurried down the stem and disappeared on the ground. Hot day, hard work, good to bail out after a while and head for home.